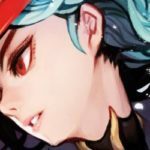 Award-winning mobile games developer Hothead Games is starting the year right with the release of a brand new action RPG that promises to break the mold. Forged Fantasy sets itself apart with a third-person view that lets players experience battles in a whole new way. The official launch is set for January 17 which means players only have mere hours left before they can get their hands on the game. 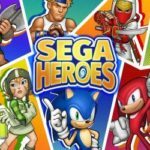 Hothead Games has quite a few successful games under its belt. The studio is best known for Hero Hunters, the recipient of Google Play’s Most Innovative Game of 2018 award. 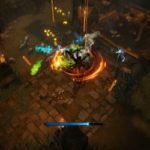 After redefining third-person shooting RPGs, the studio is back with even more action and innovation in Forged Fantasy. Forged Fantasy is set in the world of Teraventa. The world has been torn apart by a man-made magical event called The Split. Players will have to take up arms and fight for their survival. The game lets players recruit various heroes for their team. During battle, these heroes can switch on the fly depending on what the player needs. Manual and automated controls are available during combat mode. The game has several staple RPG features that players can look forward to. This includes hundreds of missions in Campaign mode for those who enjoy playing solo. The competitive ones can also go head to head in world-wide PVP battles. Those who prefer cooperative play may join an Alliance then take on various Boss Raids and Events. 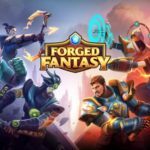 Forged Fantasy is available for pre-registration on the Google Play Store. Those who are using iOS devices may head over to the App Store to sign up.